Antiviruses are absolutely essential no matter how you use your computer. Even if it’s not connected to the internet, you still need protection. 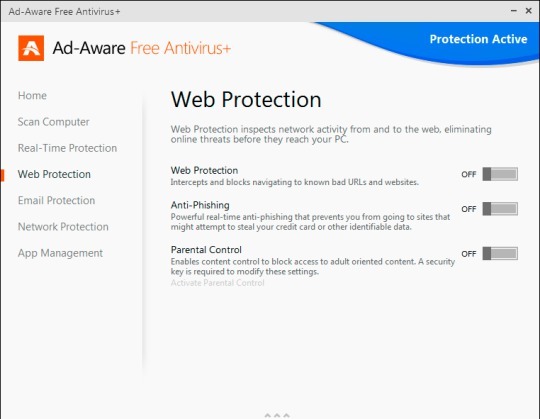 Sure there’s paid antivirus programs and internet security suites out there that have you covered on all sides, but even if you’re not too keen on spending money on protection, there’s still no excuse for not having a free antivirus solution running on your computer, given the quality of of such software these days. The extra features on paid solutions are most welcome, but if it’s basic protection you want, free antiviruses should do the job. Considering Windows 8.1 was released recently and the new year is coming up, 2014 editions of most antivirus software have already been released. Here’s our picks for the best free antivirus software for Windows 8.1! Avira’s Free AntiVirus has always been somewhat of hit and miss. It’s got good malware blocking ability, but cleanup is somewhat sketchy and the interface isn’t too good looking. However, once it’s installed and running, you really don’t have much to complain about as a daily user. Power users might find it annoying that a lot of features are simply greyed out and hidden behind the full version purchase. Essential features like real time protection and blocking are all there though, and there’s a pretty neat toolbar bundled in as well. Be warned though, the free version has no tech support, so you might want to stay away if you’re not comfortable with tinkering around with software. avast! has been a mainstay in the free antivirus game since many years, and for good reason. Offering decent protection and an attractive UI, avast! Free Antivirus 2014 carries on the legacy with aplomb. It’s one of the few antivirus software that does more than just offer basic protection. The included software updater, boot time scanner, sandboxing abilities and unwanted toolbar removal are great additions and help it gain some advantage over the competition. Which is unfortunately what it needs, because malware detection and removal is good, but not great. Unless you’re actually going to malicious sites and downloading stuff just to test the avast! engine out, you should be good to go. AVG is probably another name that pops up in your head when free antivirus software is mentioned. Since its revamp a year ago to go with the new Windows 8 tiled interface, AVG AntiVirus Free has been going from strength to strength. 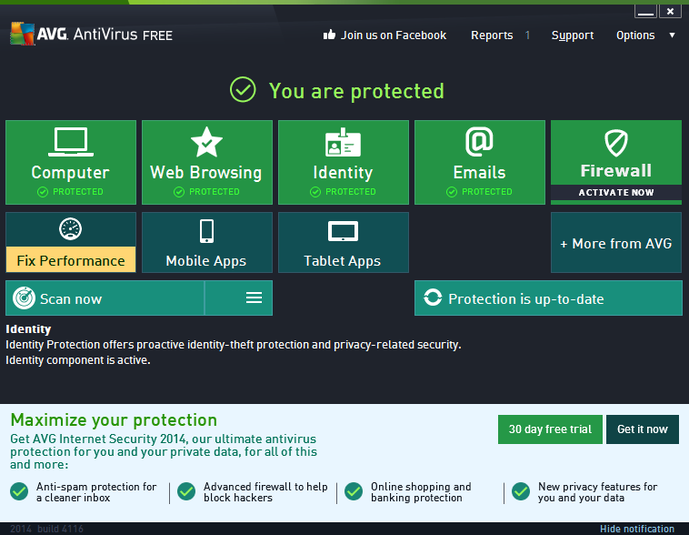 Combining excellent protection, an easy to use and good looking interface and a legitimately useful toolbar, AVG AntiVirus Free 2014 retains its spot among the best free antivirus software this time as well. Installation is quite easy, and even malware infested computers can get it done with minimum effort. Once installed though, cleanup, blocking and protection is top notch. The only annoying thing about it is the constant reminder that more features lie behind a purchase. If you’re okay with that, AVG AntiVirus Free 2014 is what you should get! Ad-Aware started out as a humble antispyware tool and has evolved into a full fledged antivirus. It might not be as well known as others on the list, but it’s more than capable of going toe to toe with each one of them. The pleasant interface and ease of use is very appealing, and protection is top notch as well. It’s easy to install on any computer, infected or not, uses a reasonable amount of resources and does not do any collateral damage during malware removal. Plus, you won’t have to deal with it flagging legit programs as suspicious. This catapults Ad-Aware’s new free antivirus onto our list and thus makes it one of the most viable free antivirus solutions available today! Bitdefender frequently tops lists of the best antiviruses around, so it should come as no surprise that its new free version is one of the best too. However, it’s quite different from its competitors in the sense that it doesn’t offer much freedom. Basically, it automatically configures itself and runs in the background. This can be a good thing or a bad thing depending on the type of user you are. If you like tweaking everything to your liking, you will probably be disappointed. But if you’re the sort who wants protection without having to go through setting screens, this is the product for you. 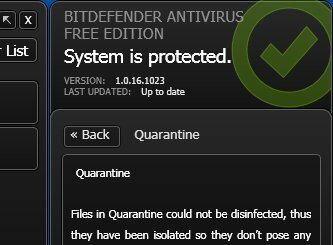 Besides that, Bitdefender Antivirus Free Edition 2014 uses the same engine from its bigger brothers, so offers the absolute best protection. In this day and age, it’s unforgivable not to have a good antivirus software installed. So if you’re tackling the interwebz without protection by any chance, go grab one of the above solutions as soon as possible. Let us know your experiences with free antiviruses and what you prefer as well! KMPlayer Features – A Better player than VLC? This review was not very helpful for me, someone who barely knows the difference between antivirus and malware (is there one?). ALL of these 5 are rated by the reviewer as “best”. I was hoping to come across somebody who would say “this” [meaning only one, not five] “is the best free antivirus software.” Have to keep researching. Hello Margaret, we’ve listed out the 5 best antiviruses based on detection and removal rates. Each of them have their strengths and weaknesses, so there’s no absolute ‘best’, so to speak. If you have any doubts regarding terminology, I’d be happy to help you out! I just purchased a surface pro 2 and it has windows 8.1. I do all my banking paying bills etc online and I need to know what is best to get that will keep me protected. I don’t mind if I have to pay if its reasonable and reliable. Thank you. Go for Norton Internet Security. It’s fast, light and efficient.